These are one piece clubs from Play, Italy. These clubs differ from the Flare One Piece in that they are made with a heavier, softer plastic. These are one piece clubs from Play, Italy. 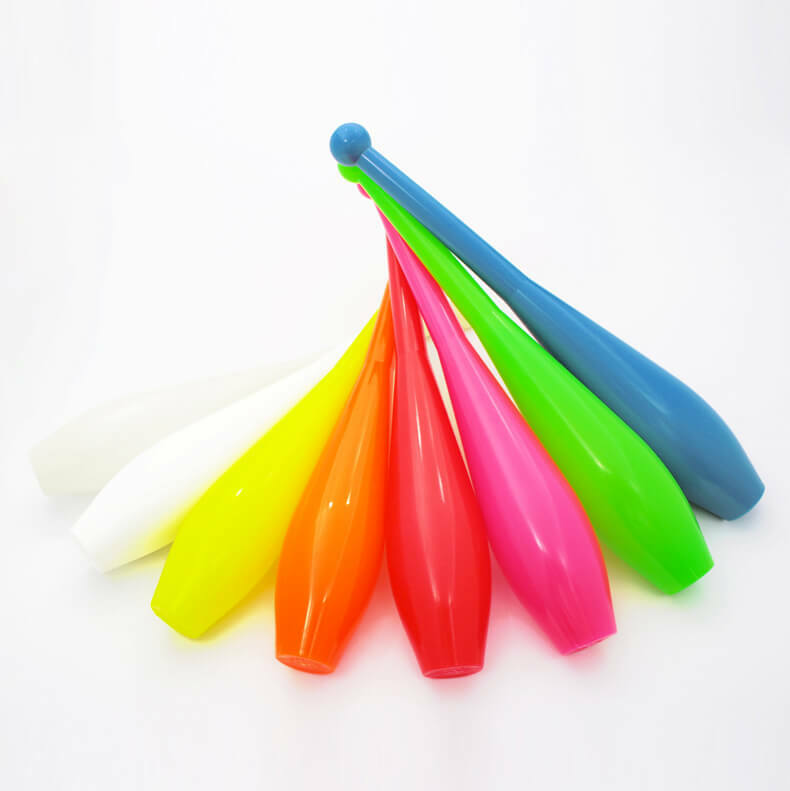 These clubs differ from the Flare One Piece in that they are made with a heavier, softer plastic. This gives the club a more suitable weight for outdoor use, a softer catch and excellent durability. Very bright UV colours with a subtle seam. The knobs are rounded and suitable for those who like club swinging. Here we have a truly huge range of affordable items from simple yoyos, right up to impressive fire torches. Juggle Dreams' product range spans many great items, and is one of our main suppliers.